Water Remains The "Gold Standard"
Meet Chris Clough-Segall, our new project manager! One of our projects has opened its doors! Read the full story. Successful Manufacturing Day Event at Formtek, Inc.
Luxton Reed Brochure ready for download! Controlled Air, Inc., Newest Rep! DADANCO at the Build Expo, NY! Passing of Mr. John E. Reed, Founder and Chairman of Mestek, Inc. So You Think Your Critical HVAC System Is Reliable? Come visit us at Greenbuild 2012! Linel Profiled by US Glass, Metal & Glazing "Protecting the Beauty Within"
Springfield, Colorado knows the importance of reliable heat. 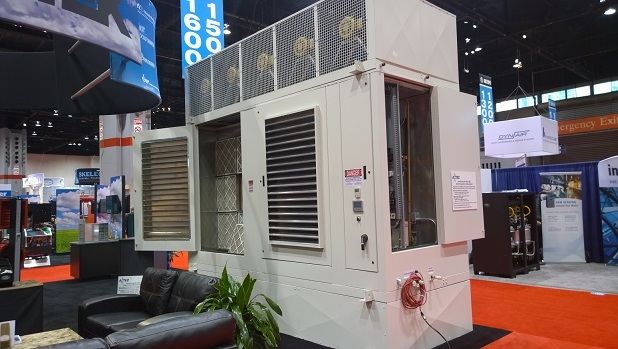 Aztec, from Mestex in Dallas, introduced a unique evaporative cooling concept at the 2015 AHR/ASHRAE show in Chicago. This video helps explain the new Aztec AMC direct evaporative cooling solution for warehouses, factories, distribution centers, or any other application where air turnover and low operating costs might be a solution.